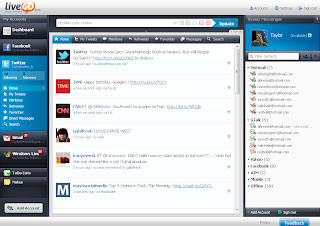 Popular online instant messaging service MessengerFX is now introducing its new platform LiveGO to internet users. MessengerFX was founded in 2006 and the new product idea has received investment from Golden Horn Ventures at the beginning of 2010. MessengerFX online IM service has been used all over the world by more than 10 million users so far and has given the team critical insights on what today’s internet users need. Now with LiveGO, users will be able to connect to their Facebook, Twitter and e-mail accounts as well as their instant messaging accounts. 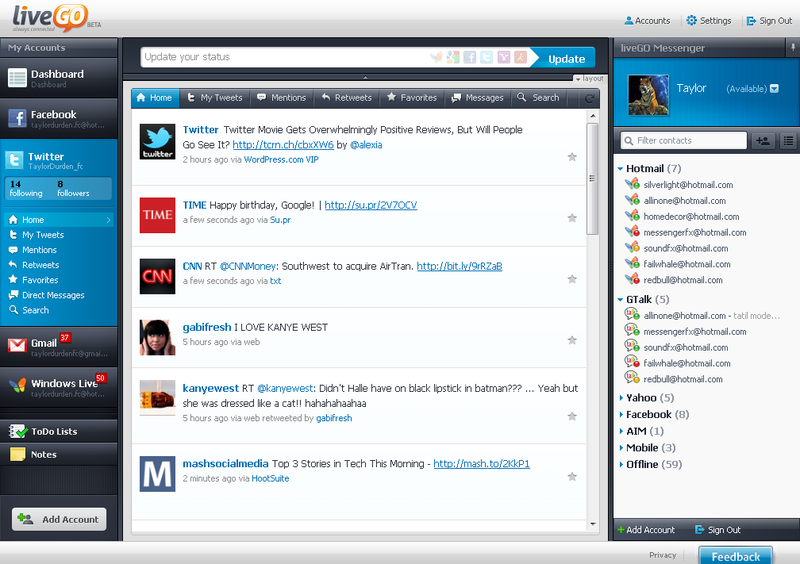 LiveGO targets providing the same experience as each social networks provides, but all in one place. For example for Facebook LiveGo supports status update and home feeds but also Facebook chat, photos and videos, notifications and messages, basicly gives you almost the full Facebook experience. And it does the same for Twitter, email and IM as well. Soon users will be able to organize their social life by TO-DO lists, Calendar and Notes features. They will be integrated with the rest of the online activities. For instance, users can save their feeds, IM conversations or any text as a note or turn it into TODO’s and be notified by e-mail.